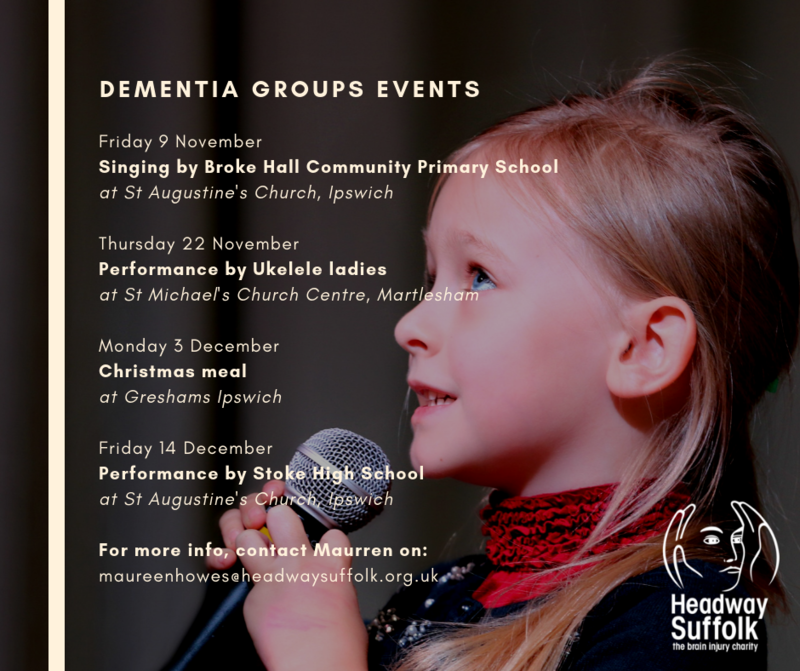 Headway Suffolk operates a satellite hub service at St Michael’s Church Centre in Martlesham for persons living with dementia. The hub is open at this venue on the fourth Thursday of the month. 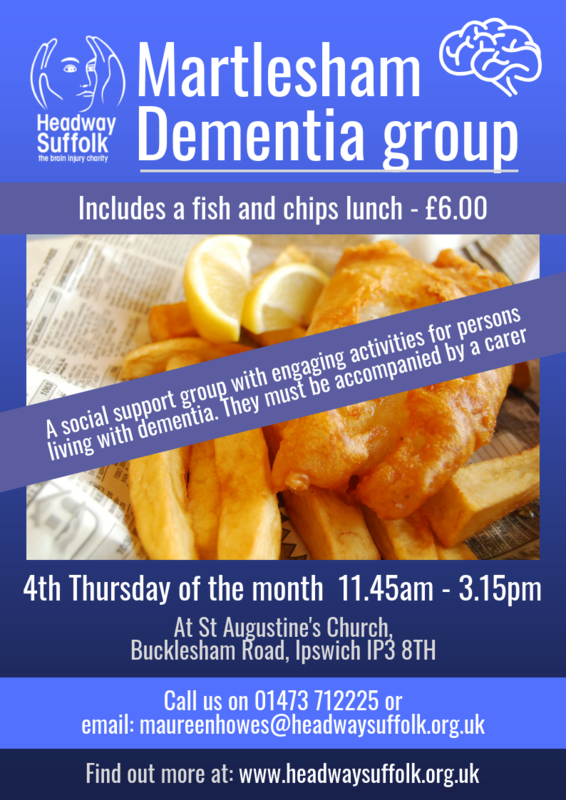 The service is a social support group with engaging activities and a fish and chips lunch provided. Clients will need to be supported by a carer. The cost if £6.00. 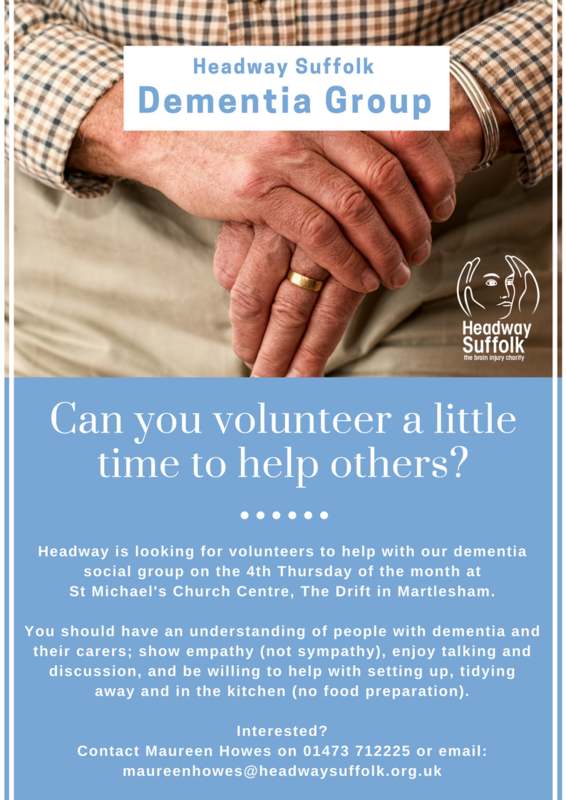 For referral enquiries, contact Maureen on 01473 712225 or email: maureenhowes@headwaysuffolk.org.uk.